I’m sure you’ve seen the hype surrounding bone broth and the many health benefits it offers. It’s also a really tasty base for a lot of my favorite recipes. 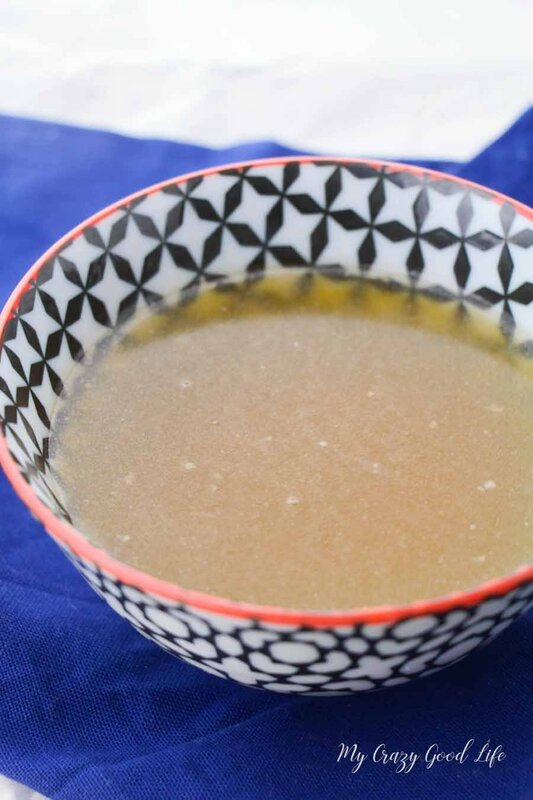 This chicken bone broth recipe is super easy. 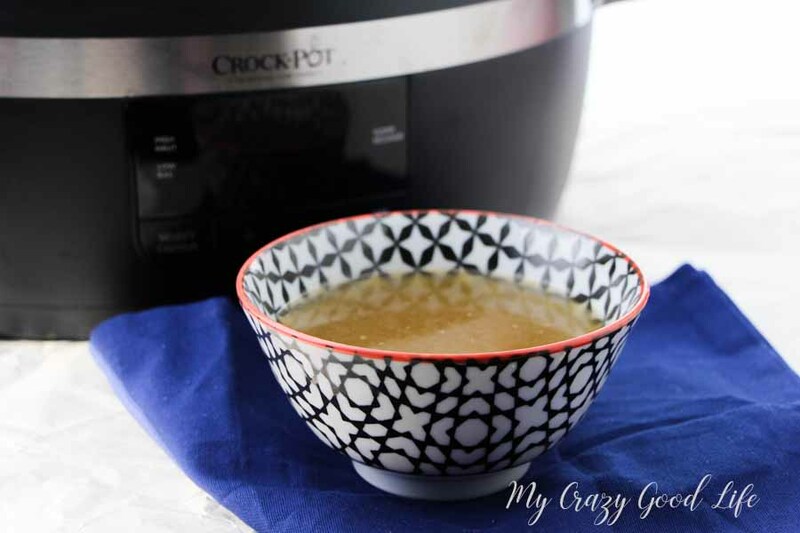 I’m going to show you how to make bone broth in the Crockpot, it’s a total game changer! Making bone broth is really easy. 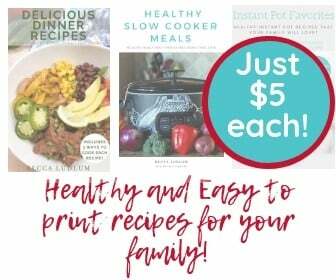 I use my Instant Pot or my Crockpot in this case to really bring out the flavors from the skin, bones, and cartilage of the chicken! 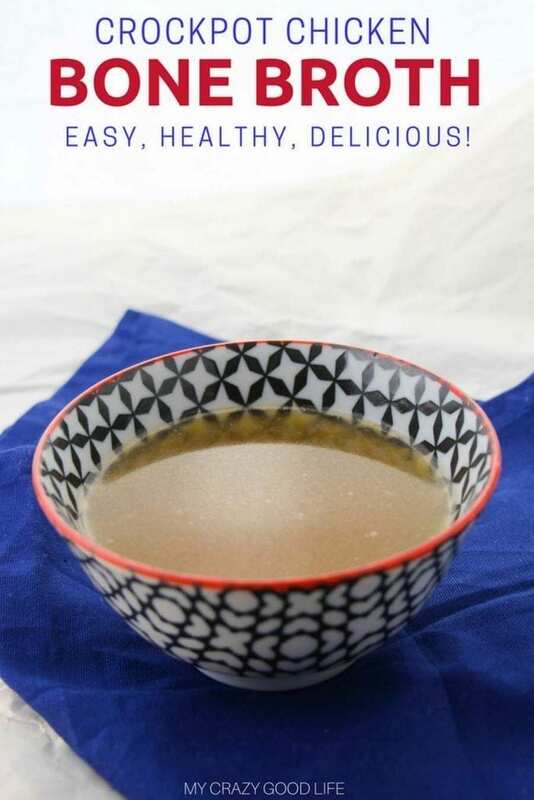 It doesn’t matter if you are making bone broth for the health benefits or as a base for cooking, you’ll love how simple the process is with this recipe. One of the great things about making bone broth in the Crockpot is that you can let it cook for a long time. This really helps to bring out all the great nutrients and aids in making a really delicious bone broth. 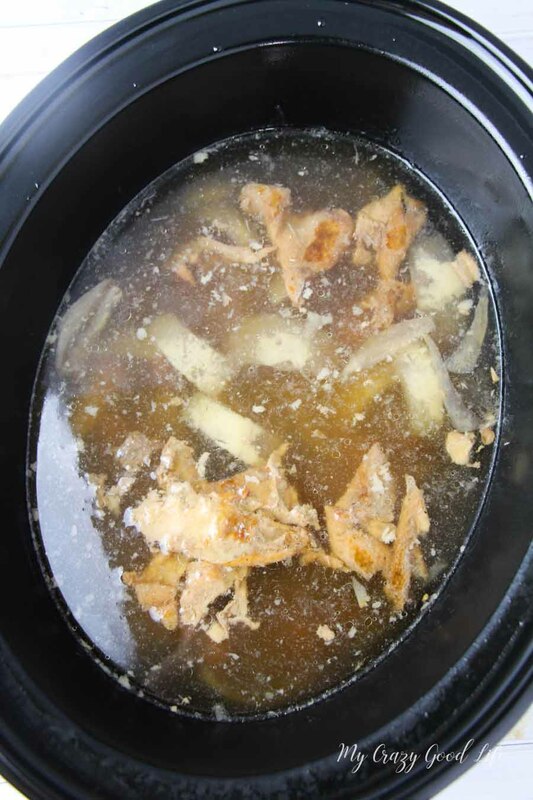 Put chicken carcass or bones in a crockpot with remaining ingredients. Fill the crock pot full of water. Cook on high for at least 24 hours (add water as needed). I often cook ours for 2 days, adding water after the first 24 hours. When the broth is ready, use a slotted spoon to scoop out all the large bones. Then pour broth through a mesh strainer to separate the fat and smaller parts. Refrigerate in large mouth mason jars until ready to use or put in a stock pot and make bone broth soup. Pro Tip: The fat will rise to the top when refrigerating. You can skim this off, or use it in your soup. 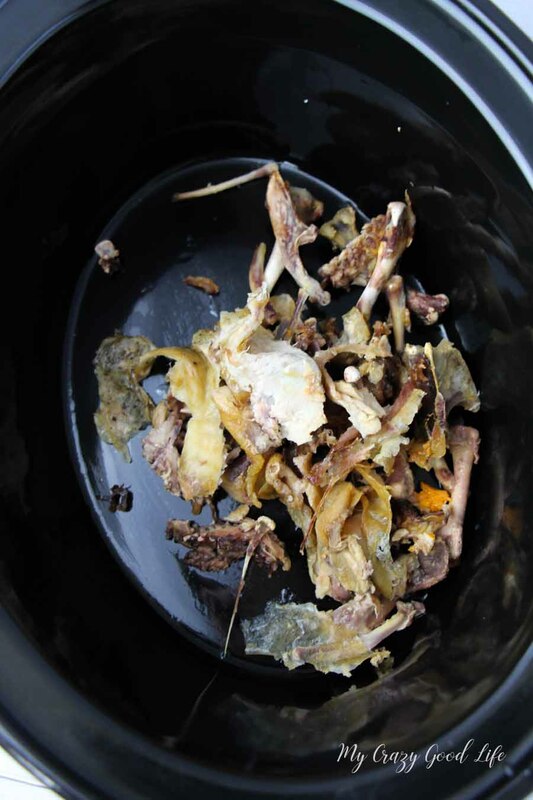 Bone broth and especially a chicken bone broth can be used as a stock for many recipes. It’s a great way to add moisture and chicken flavor to your favorite recipes. I use it in place of water when making rice sometimes! It really boosts the flavor. 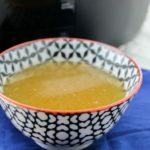 Use chicken bone broth as your liquid when making chicken based recipes in the Instant Pot too! It’s healthier and I know what is in each and every batch. It is very easy to make and adds flavor to almost everything I cook. The health benefits of bone broth are great but I like knowing that I’m putting something natural into my body. Making bone broth at home is SO much cheaper than buying broth from the stores. I can make a huge batch with leftover items for next to nothing. It’s kind of awesome to use every part of something like a chicken in this day and age. Making bone broth is an easy way to make use of all the leftover parts you might otherwise ignore! I'm sure you've seen the hype surrounding bone broth and the many health benefits it offers. It's also a really tasty base for a lot of my favorite recipes. 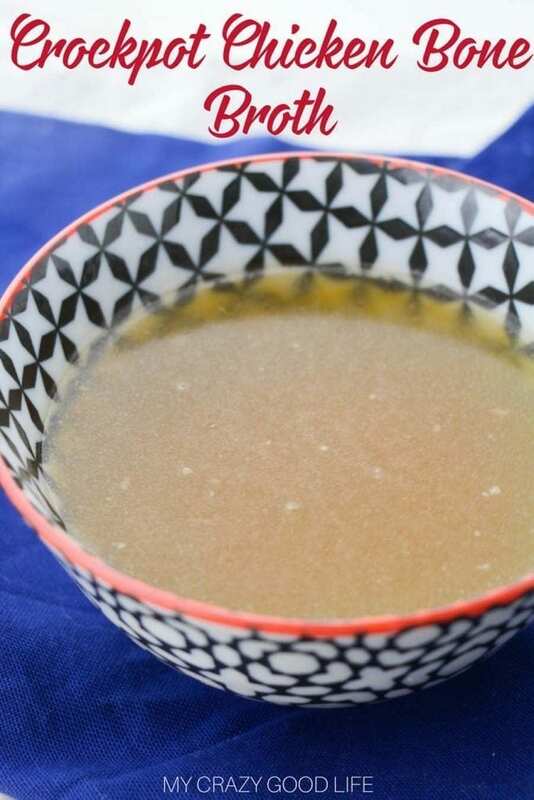 This chicken bone broth recipe is super easy. 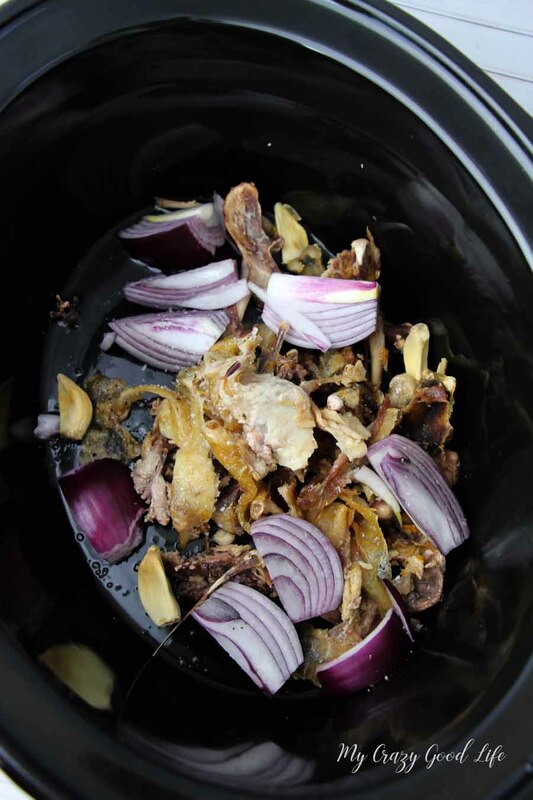 I'm going to show you how to make bone broth in the Crockpot, it's a total game changer! Previous Post: « What Is 2B Mindset? An honest review of the program. I’ve always been scared to make bone broth. But, you broke down with exactly what I needed to know. Love this recipe. I have always wanted to make this and I plan on making it tomorrow, thanks for the recipe. I love how made this look so easy! I had always made bone broth on the stove but making it in a slow cooker is a game-changer. Couldn’t be easier! I always crave this when I’m under the weather. It looks wonderful! I have always wanted to make homemade bone broth, and finally did using your easy recipe,thank you, I’m putting it in mason jars rite now, I was wanting to know how long this can be stored in the fridge before it goes bad? I’m so glad you made some, Barb! In sealed mason jars I keep it for about 2 weeks, but I find it works best for me when I freeze it in small batches!